Convert Forms' goal is to be able to create magnificent forms without having to know any kind of coding. 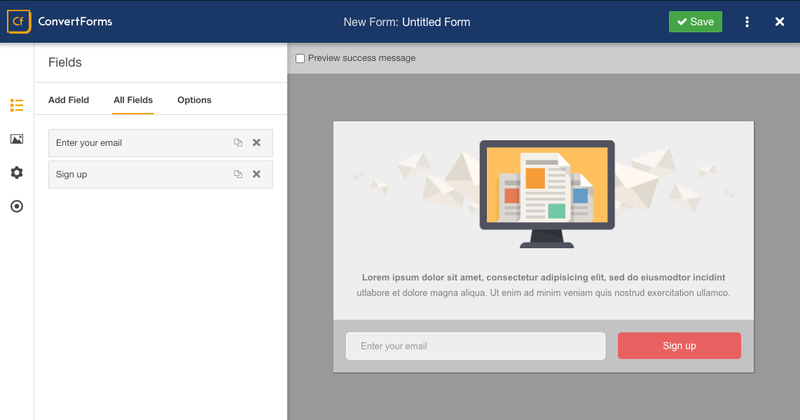 The Form Builder provides a great deal of flexibility on how you'd like your form to appear on your frontend. What's unique about the Form Builder is that the end result will be exactly as you see it. The only way for the form to appear slightly different on your frontend is only when your template has taken some extreme measures style-wise and overwrites everything, but that's very rarely the case. The Form Builder consists of the Design/Behavior/Submission Options at the left of your screen and the Preview at the right of your screen. In the preview you get to see the changes of your form LIVE. This means that the changes you do through the Design Options are being taken into account instantly. You could say that it is some kind of an improved WYSIWYG (What You See Is What You Get) editor. Box: This part is responsible for the entirety of the form along with its informational part, which is a combination of a text and an image. Here you are able to name the form and style it with almost any styling option available. Text: You can accompany your form with an informational text. Choose a carefully thought-out message to entice visitors to use your form. Image: Together with the text you can choose an image to accompany your whole concept. An image is word a thousand words they say and we believe them 100%! Form: In this part you are able to choose a layout for your form and position it in relation to its informational part. Just remember that the actual form is the collection of fields and that is what you are able to adjust in this part. Fields: This part is where you are able to add/remove/position/style any number of fields for your form. In case you are using a Campaign with third-party integration like MailChimp, this is where you should add your email_address, FNAME and LNAME fields. Submit Button: This part is dedicated to all the options imaginable for your Submit Button. Style it and position it to match the theme of the rest of the form. Advanced: Finally, the Advanced part is for our fellow developers who would like to add their own flavour of CSS and Class sufixes. Of course there's also the option of adding a Form Footer which basically is a way to add a bit of text at the bottom of your form. At the moment you are able to change the Status of your form. The Behavior Options will be getting enriched with useful characteristics as time passes. The most significant option here is to assign the form to a campaign you've previously created. 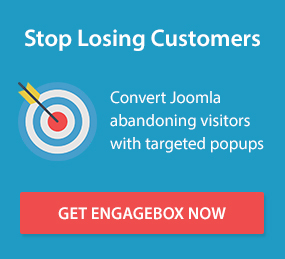 In case you haven't created a campaign then the form will save all its leads only locally. You can also choose what the form should do once it is submitted. You can display a success or fail message or redirect your visitor to a different URL with the ability to pass the form data as well.